Sustainability has quickly become a buzzword in business, news media and even pop culture for the past several years. While, most people have a vague idea that sustainability refers to a need to be careful with our resources, there is still a fair amount of confusion regarding what sustainability really means. Many businesses have begun touting sustainable building as a way of PR posturing, creating an image of empathy and humanity. Still, many academic organizations have begun to take sustainable building very seriously. For architecture and design students, and even those who are simply interested in living sustainably, a growing number of available resources are cropping up. Architecture and design graduate degree programs in the US and around the world are adapting their programs around a philosophy that fosters a greater appreciation of our limited resources. Many of the schools with the most admired graduate programs should come as no surprise: Harvard University, Columbia, MIT and Yale are listed by Architectural Record as the most admired graduate programs. 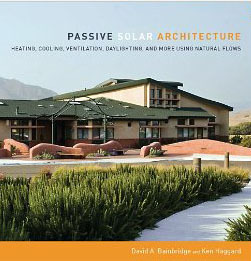 However, from a perspective of sustainable design practices, a list of schools that are still highly regarded, but a little more attainable for the average architecture student, are listed: University of Oregon, Virginia Polytechnic and State University and University of California, Berkeley are all acknowledged for their progressively-minded programs emphasizing sustainability. The Ivy league does seem to be heading in the same direction, with Yale recently adding a joint-degree program between the Architecture School and the School of Forestry and Environmental Studies. No doubt there are many people interested in sustainable building without the means or interest in pursuing a full architecture degree, and an increasing number of schools are catering directly to these students. Schools have begun offering free downloads of courses in architecture, urban design and engineering, and while these downloadable lectures offer no way to earn credits towards a degree, they offer anyone with an internet connection and an interest in sustainability the same lecture notes, videos and assignments as registered students. MIT, University of Notre Dame and Utah State University offer on-line lectures on Artchitecture, Art and Planning. University of Hong Kong even offers English language courses in sustainable architecture and energy-efficient design. One problem sustainable building programs have had in the past is a lack of consensus on what sustainable building actually entails. In 2000 this issue was addressed with the creation of the LEED building certification. LEED stands for Leadership in Energy and Design. To receive LEED accreditation a building must meet the sustainability standards in materials, efficiency and energy usage created by the US Green Building Council. It is a straightforward way for companies to gauge how they compare to other buildings, and it also can act as a partial standard for universities to use in educating their students. In the coming years, corporations and governments worldwide will be looking at updating their facilities to maximize sustainability. After all, while it sounds great from a PR standpoint for a business to proclaim they are 'Going Green! ', in the end, sustainability means serious energy savings. According to the Los Angeles Bureau of Street Lighting, for example, the city has begun replacing their existing streetlight fixtures with LED units, which they claim will save energy by 40% every year and reduce maintenance costs. In the end, these measures mean serious savings for governments and companies. With sustainable building still a relatively new concept, the market seems to have large potential for growth, ensuring we will see more programs and more opportunities for architects, designers and laymen to learn and apply sustainable building at work and at home.